A powerful new movie about World War I that I saw at the Michigan Theater on Sunday, May 28, 2017 added to my understanding of Memorial Day. Frantz showed how life after war includes the processing of many memories—of the hostilities that led to the war and kept it going; of the trauma, stress, and uncertainty of both the battlefield and the home front; and most of all, of the friends and loved ones who were killed in the war. The film, which was directed by François Ozon, revolved around the interactions between a French soldier who fought in World War I and the parents and fiancee of a German soldier who was killed in the war. It was set in 1919, one year after the war ended. My balcony seat in the spacious Michigan Theater main auditorium allowed me to fully engage with the film on many levels—emotionally, intellectually, cinematically. 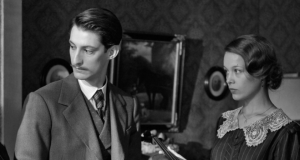 Frantz was filmed in a stunning widescreen and black-and-white composition that included much historical detail. The dramatic use of black-and-white was the most effective that I’d seen since Schindler’s List in 1993. Occasionally the movie shifted over to a muted color for particular kinds of scenes. The shifts between black-and-white and color photography helped me better appreciate the detail and dreamlike texture of black-and-white and the emotional power of color. 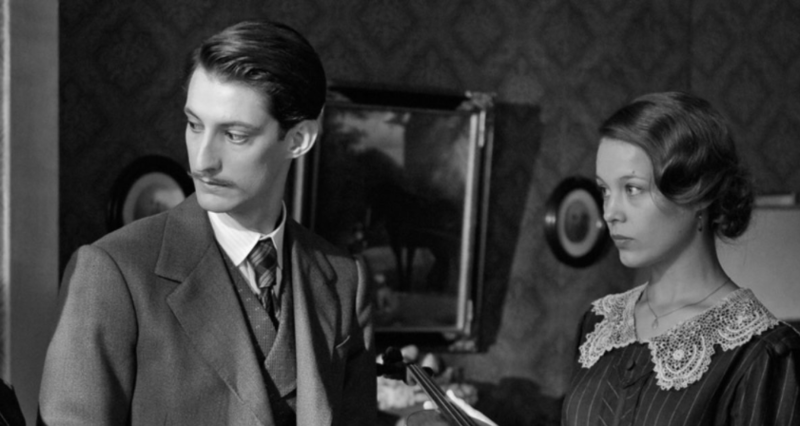 Frantz poignantly and profoundly explored the postwar challenges of grief and forgiveness. Ozon used the two main characters to show the mysterious and sometimes confusing ways that people connect with each other. The final scenes of Frantz swept me along in almost breathless anticipation of what might come next. These scenes, with their skillful use of music and camera work, reminded me of similar scenes in Alfred Hitchcock’s 1958 masterpiece Vertigo. I write a blog about books published during World War I (Witnesses of the Great War). That blog has taught me much about the lesser known details and emotions of World War I, and so did the movie Frantz. The Detroit Film Theatre will soon screen Frantz, on June 3 and 4, and I plan to see one of those screenings. I’m particularly looking forward to the final line of dialogue that has become a high point in my many decades of movie watching. This entry was posted in Foreign Language, Memorial Day, Michigan Theater. Bookmark the permalink.